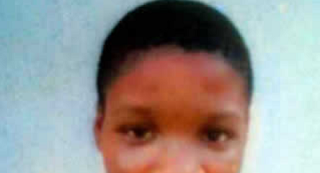 Guardians of Asmau Ajibade, a Junior Secondary School 2 pupil of Agbara Community Junior Secondary School, Ogun State, are in distress over her whereabouts seven days after she left home for school. The girl lived with the guardians, Alhaji Rauf Adetona and Alhaja Ajarat Adetona, on Area 8, Road 810, Block AM, Plot 18, OPIC Estate, Agbara, off Lagos-Badagry Expressway, Ogun State. Punch Metro learnt that Ajibade had left the house at about 7.30am last Monday in her school uniform. The belief in the house was that she had gone to school. The guardians became apprehensive when it was 4pm and she had not returned home. Record of the school reportedly revealed that she was absent that day. Ajarat said the girl had been living with them since she was four years old, adding that she was surprised by her disappearance. She said it was the first time she would leave home without returning. She said, “She went to school on Monday and has not returned. Her teachers told us that she didn’t come to school that day. “But a cobbler around here told us that he fixed her torn sandal that morning. The cobbler said she seemed to be in a hurry as she told him that somebody was waiting for her. “She had never done anything like this, although her teachers had told us that she was keeping bad company; and I warned her to stop associating with bad people. Rauf told Punch that he was on his farm when a call came in that Ajibade was missing. He said they were told at the school that Ajibade might have absconded with some of her school friends, adding that the incident had been reported at the Agbara Police Station. He said, “She always prepared the food she would eat at the school and did same that morning. My wife gave her money in addition to the food and she thanked Alhaja and left. I went to my farm around 9am. At about 4pm, my wife called me that Asmau (Ajibade) had not come back home. “I told her to be patient because she came home around 3.30pm at times. When it was 5pm, she called me back and said she had gone to Asmau’s school, but she didn’t see her. “On Tuesday, we went back to the school. The teachers at the school told us that she had become a wayward girl and had been moving with a friend who had been expelled from the school. “We reported at the police station on our estate and we were told to come back on Wednesday if we didn’t see her.